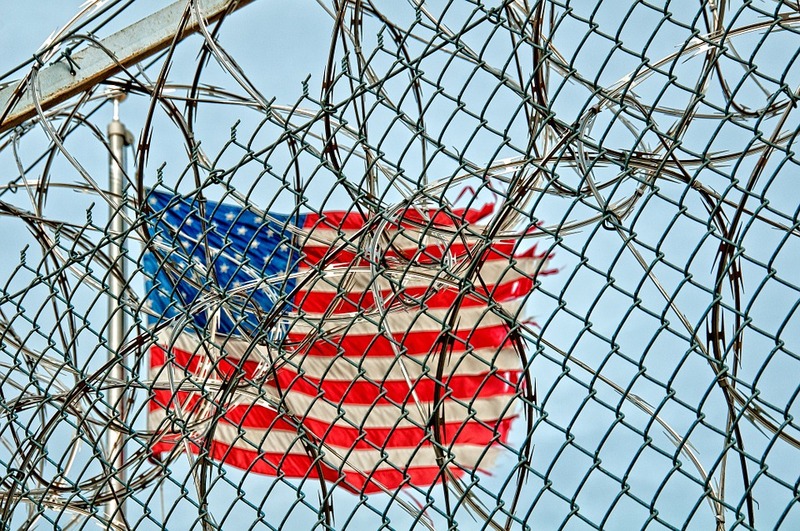 With a prison population of over 2 million people at any given time, the United States incarcerates more individuals per capita than any other country on the face of the planet. This incarceration rate has resulted in over 70 million adults having a criminal record in the United States today. Let those numbers sink in for a minute. Approximately one in every three adults is saddled with a criminal record in this country. A country that houses more than 20% of the total number of incarcerated people around the world despite having only ~4% of the world’s population. On September 4, 2018, the Pima County Board of Supervisors voted for the second, and hopefully last, time to reject any further Operation Stonegarden grant funds from the Department of Homeland Security. I originally blogged about the Board of Supervisors Stonegarden controversy earlier this year. The first time the Board voted to drop the program was in early February of this year. The Board reversed it’s vote several weeks later however after push-back from the Sheriff’s Department but premised acceptance and participation in the $1.2 million dollar federal directive on several factors. 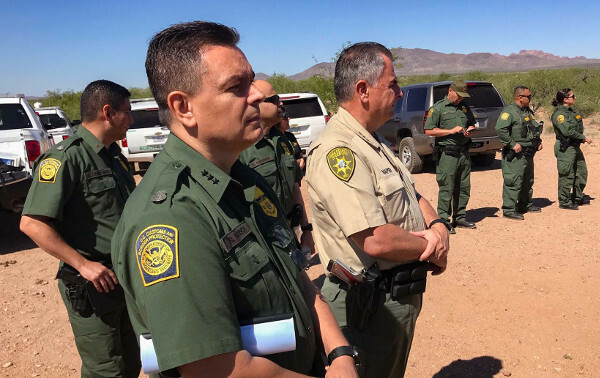 Factors the Sheriff initially agreed to but later ignored when his department began conducting Stonegarden deployments on behalf of the Border Patrol while spending money from the grant before the Board of Supervisors voted to allow expenditures to resume. On July 2, 2018, the first amended complaint in CPUSA’s ongoing civil rights lawsuit was filed in the United States District Court for the District of Arizona. The biggest changes between the initial complaint and the first amended complaint include a refinement of the factual allegations, a refinement of the law violation counts and the dropping of the Bivens Claim against the individual federal agents. While I was reluctant to do this, it was deemed necessary due to recent court rulings limiting the scope of the Bivens Claim and making a successful Bivens claim in this case unlikely. A federal tort claim is still in the works however and we anticipate rolling such a claim into this complaint at a later date. On May 25th, 2018, Patrick Eddington with Just Security posted an article regarding Checkpoint USA’s recently filed civil rights lawsuit & federal tort claim. 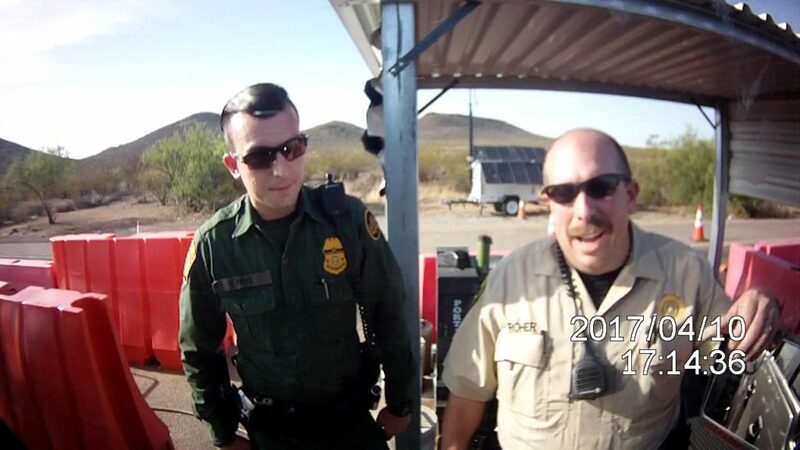 For those who aren’t already familiar with the legal action, the lawsuit was filed against the Pima County Sheriff’s Department & various Customs & Border Protection agents in their individual capacities while the tort claim was filed against Customs & Border Protection. Just Security is an online forum for the rigorous analysis of U.S. national security law and policy and is maintained by the New York University School of Law. The article summarizes some of the sixteen year history leading up to the present lawsuit, discusses how the Operation Stonegarden federal grant program is playing a role in the legal action and links the underlying issues with similar legal action taking place in areas like Arivaca, AZ. 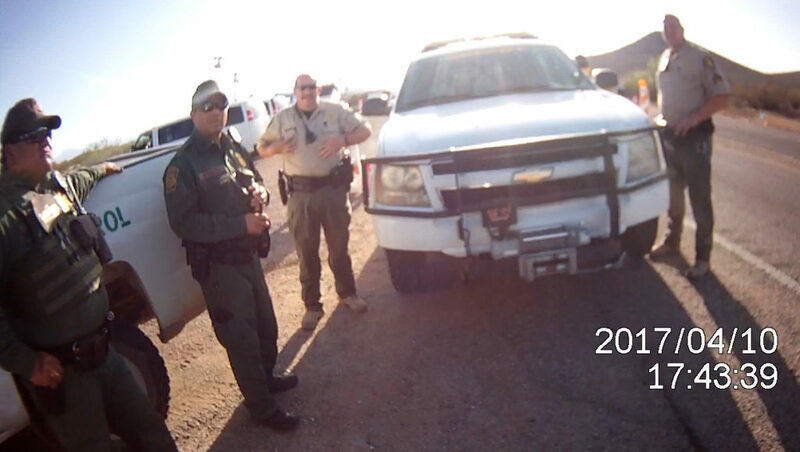 The last straw leading up to the lawsuit was an incident that took place at the roadblock on April 10, 2017 involving, amongst others, Pima County Sheriff’s Deputy Ryan Roher and U.S Border Patrol Agent T. Frye. 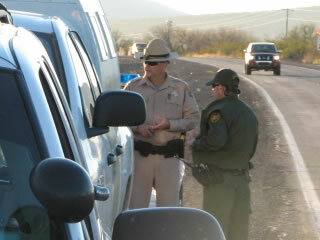 By the time everything was said and done, Deputy Roher had arrested me on a state charge of highway obstruction. 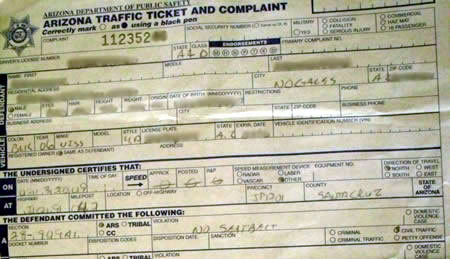 This despite the fact that I was being detained against my will in front of two stops signs in the lane of traffic at a federal roadblock by an armed federal agent who had refused to let me leave while investigating me possible violations of federal law he had no reasonable basis to believe I had violated. I fought the charge in court for eleven months before it was finally dropped by the prosecutor based in part on testimony given by Deputy Roher in a deposition from earlier this year. While defending against the charge, I filed a Notice of Claim with Pima County in October of 2017. After the charge was finally dropped, I filed a Federal Tort Claim with Customs & Border Protection in March followed by the legal complaint in April of this year. Brett Darrow is one of those individuals who believe in police accountability and doesn’t take kindly to police officers who abuse their authority while hiding behind a gun and a badge. 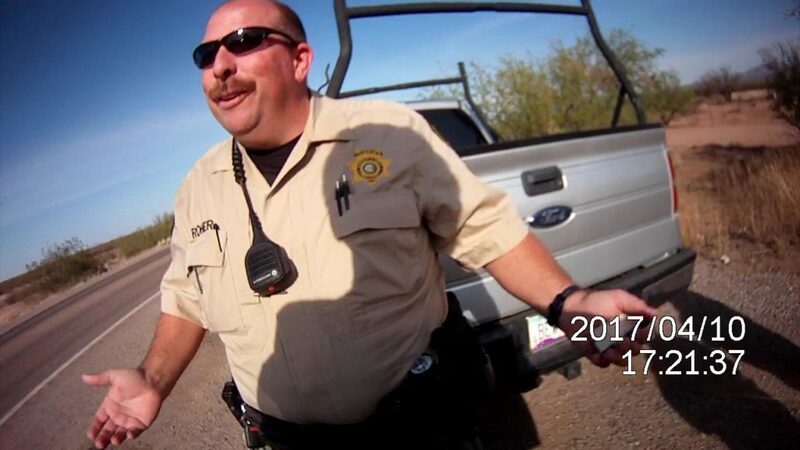 To protect himself from such abuse, Darrow outfitted his vehicle with an in-car camera system several years ago after learning first-hand how some cops have no qualms with fabricating falsehoods to justify otherwise illegal enforcement actions. Over the past year, there’s been a marked increase in the number of local and state police officers working with federal Homeland Security agents along state highways. Perhaps this has always been the case and I never noticed (doubtful). More likely, it’s the logical result of a Department of Homeland Security policy of throwing money at local and state enforcement agencies in the form of Homeland Security grants. These federal grants are, of course, designed to buy more than just overtime pay for local police and new equipment for state agencies. They’re designed to buy loyalty. Specifically, loyalty to federal handlers and policies at the expense of local communities and individual rights. 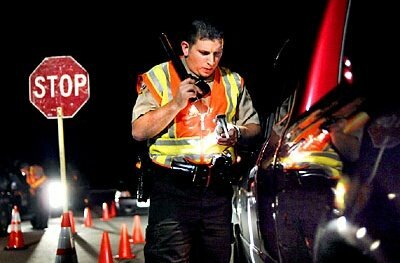 Border Patrol Enforcing Traffic Laws With Pennsylvania State Police? I’ve included an article below highlighting another disturbing trend in the continued careless intermingling of local and federal enforcement agencies. It seems that the U.S. Border Patrol is now working closely with the Pennsylvania State Police, the Ohio State Patrol and the New York State Police in a crackdown on so-called aggressive driving, impaired driving and speeding. 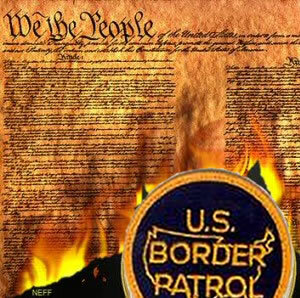 Author cpusaPosted on July 13, 2009 February 21, 2015 Categories CBP, PoliceLeave a comment on Border Patrol Enforcing Traffic Laws With Pennsylvania State Police?